Bay to Birdwood - Fashions in the 1920's and earlier.. The Bay to Birdwood is the largest continually-held motoring event for veteran, vintage and classic vehicles anywhere in the world. This iconic Australian event has a history spanning back to 1980, and is one of the very few events of it's type to incorporate a fashions element in the vehicle judging, as well as including a fashions parade as a part of the public entertainment program on the day. Long-time fashions partner, Cassablanca is again presenting "Fashions in the Field" at this year's event, and this is the first of a series of articles intended to help entrants with hints and tips on creating an authentic look, that the judges will be on the lookout for. Firstly, for those who were not aware, authentic fashion makes up a component of the overall score for vehicles that are entered the Concours category. Entrants often go to great lengths to track down or recreate period-correct outfits which match the era, nature and country of manufacture of the vehicle they have entered. 2018, being a "Run" year, for vehicles built in 1959 or earlier, creates it's own challenges, as vehicles from as early as 1900 will be entered, and very little original clothing has survived from that time. The little that there is, tends to be on display in museums, and held in collections. On the other end of the scale, 1950's original clothing is slightly easier to find, but even that will often be unsuitable, because of fragile fabrics, sizing and so on. Regardless of era, women's clothing is easier to find (as a rule), than either children's or menswear. With "Concours", the secret to impressing the judges, is very simple... Everything about the outfit must link with the vehicle.. this means getting the whole picture right!.. As an example, if an entrant has a 1920's Rolls Royce, the judges would reasonable expect the driver and passengers to be dressed in clothing befitting persons from a wealthy British family. 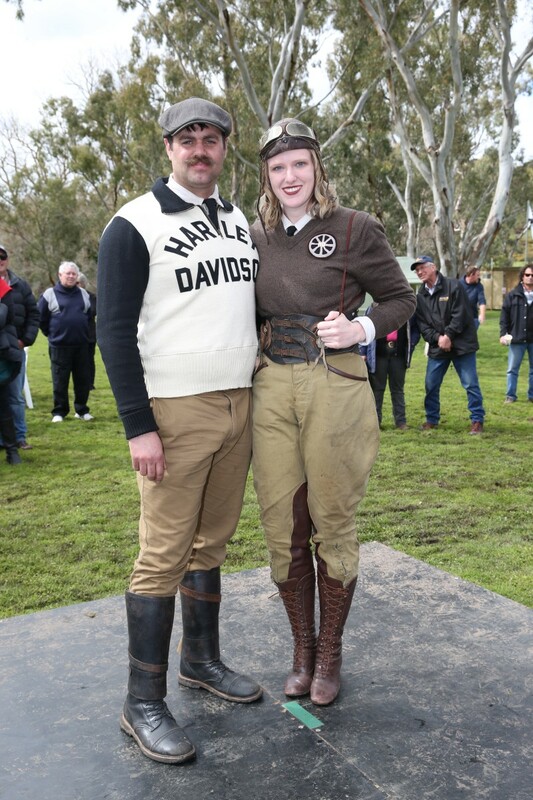 Likewise, the judges would expect someone who had entered a 1950's Holden ute, to be dressed in appropriate workwear from the era. 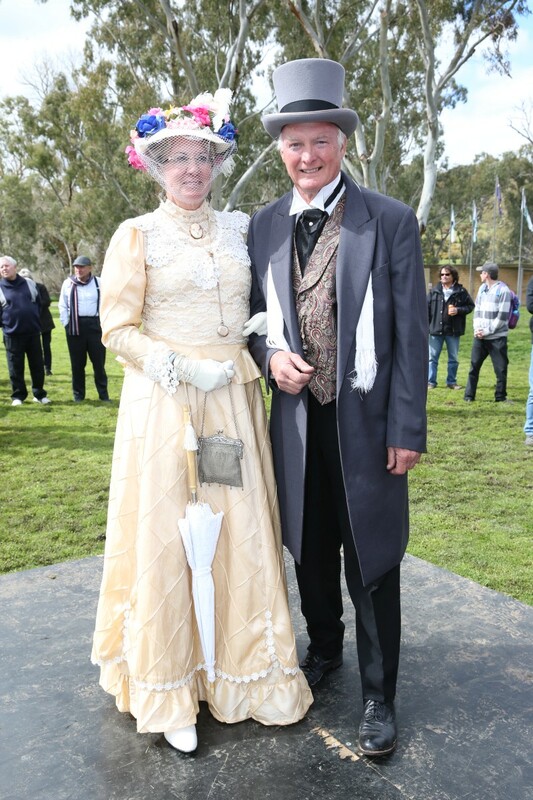 We'll explain more about getting all of this correct in future articles, but the photos in this article will give you an idea of the effort people go to..
Fashions in the Field is an integral part of the Bay to Birdwood and celebrates the fashions of the eras represented by the vehicles entered in the event. This much-anticipated program feature of the Finish Event held at the National Motor Museum is free to enter and open to everyone who attends the day. Entrants nominate the era that their outfits represent, and our expert judges will be looking out for the best efforts in recreating the most authentic look. 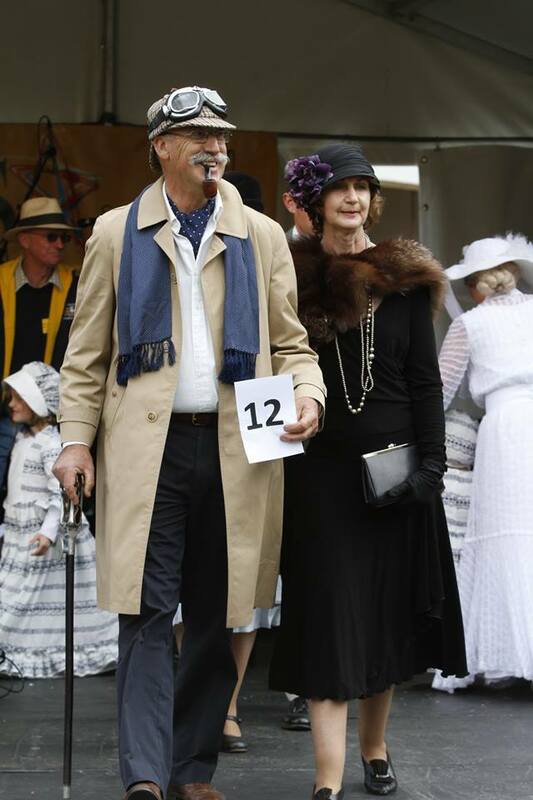 The whole contest is about dressing up and having a bit of fun in the spirit of the day, but there are still some challenges in tracking down clothing, particularly for pre-1930's periods. We'll tell you more in later articles, but the main thing is that you need to start your search sooner than later, as it will take time to put together a matching outfit, even more so if you're planning a group or family entry. With close to two months until the event, start thinking about your outfits.. If you're a Concours entrant, life is a little easier, as the era and country decisions have already been made.. so it's just a case of researching original photos to get some ideas. (the Internet is a great resource). 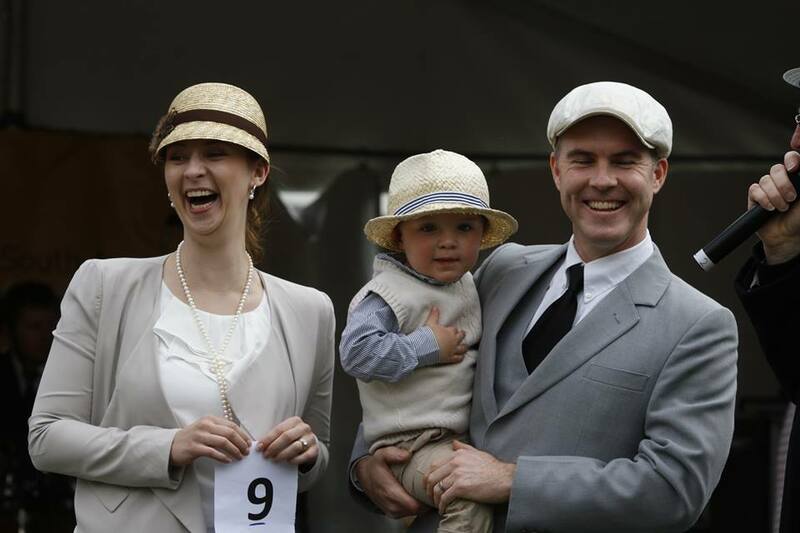 If you're entering Fashions in the Field, then work out what era you are most comfortable with, then do your research.. Whichever you'd like to enter, make sure you also pay attention to shoes, accessories and hats..
Firstly.. Gents... hats and ties are a must for this year's event!.. And for the girls.. rockabilly fashions should be left in the wardrobe..